The Galaxy A50 brings flagship features to the mid-range Samsung smartphone. But is it something worth spending on? Here's our review. 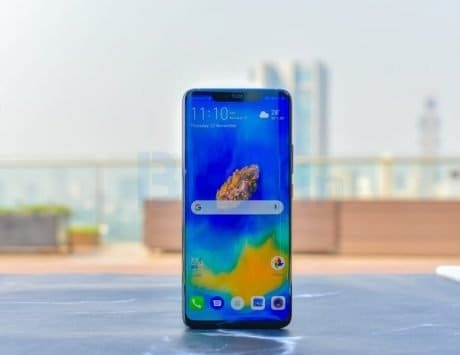 The Galaxy A50 price in India starts at Rs 19,990. 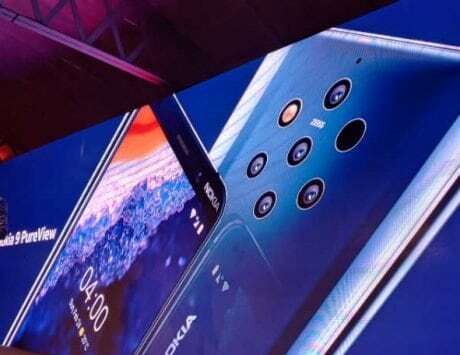 The smartphone comes with triple rear cameras. The A50 also comes with an in-display fingerprint scanner. 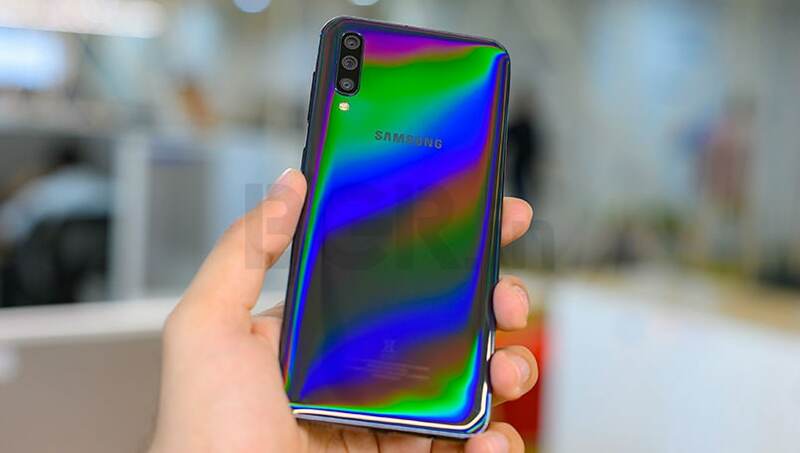 Earlier this month, Samsung launched three smartphones in its refreshed Galaxy A-series, which include the Galaxy A10, Galaxy A30, and Galaxy A50. 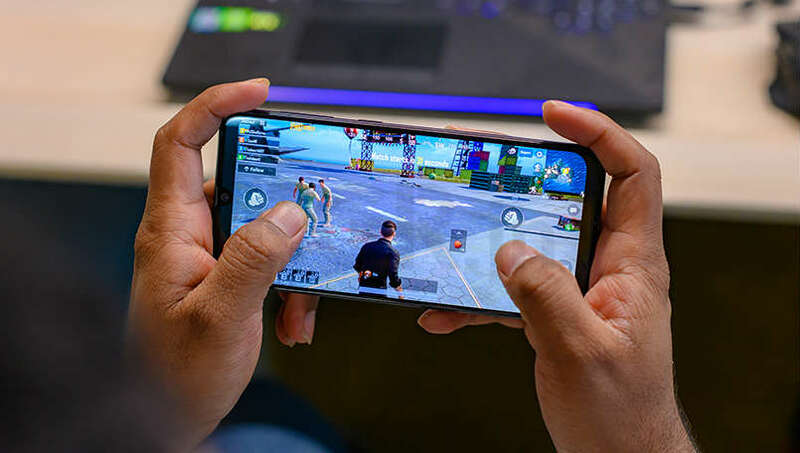 The Samsung Galaxy A50 is currently the most expensive in the series, and aims to offer flagship features at an affordable price tag. Some highlights of the Galaxy A50 include an in-display fingerprint scanner, triple rear cameras, and a 4,000mAh battery with fast charging support. Clearly, Samsung is trying to make flagship features available for the masses. But given the strong competition from Chinese players, does the Galaxy A50 make for a good purchase? Read on to find out. The Galaxy A50 comes with a 6.4-inch Full HD+ super AMOLED panel, which offers good color reproduction and viewing angles. The screen is adequately bright and viewing under direct sunlight is an issue at all. 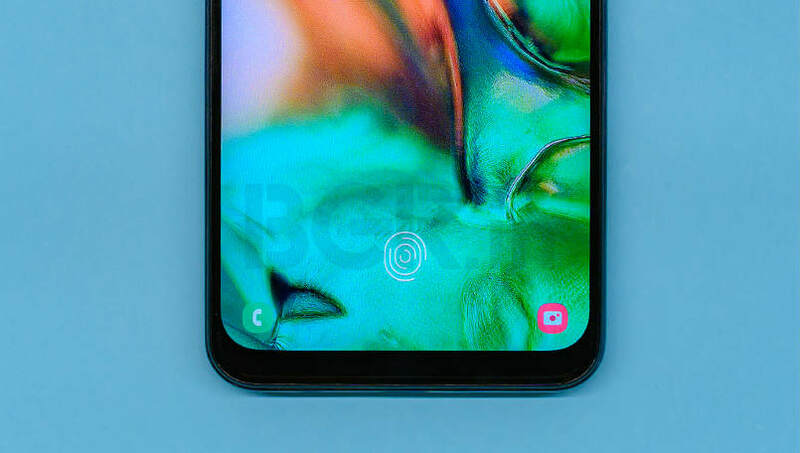 There is a small notch on top, which Samsung refers to as Infinity-U display – the company’s version of waterdrop notch. It houses the selfie camera along with other sensors. Turn to the back, and you’ll instantly notice the rainbow gradient finish which reflects light, and changes colors as you turn it in different angles. The vertically placed triple rear cameras placed on the top left will also catch your attention, whereas the rest of the back is clean. The power/sleep button and volume rocker is on the right, whereas the dual nano SIM card slots along with a dedicated microSD card slot is on the left. The 3.5mm audio jack and USB Type-C port for charging and data transfer is at the bottom. 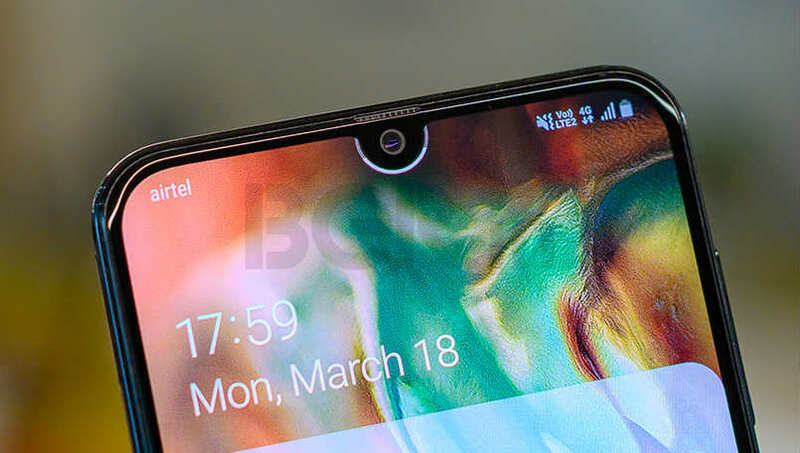 Consumers look at devices like the Huawei P20, Mate 20 Pro, the Galaxy S10, and wish a triple camera smartphone was in their budget. Well, the Galaxy M50 is one of the most affordable smartphones to come with three cameras at the back. You get a 25-megapixel (f/1.7 aperture) primary camera sensor paired with a 5-megapixel depth sensor, and an 8-megapixel ultra-wide-angle lens with a field of view of 123-degrees. The cameras are AI-powered with scene detection mode, and support wide-angle video recording, slow-motion video recording, and AR Emojis. Quality wise, the 25-megapixel sensor is pretty good, and captures photos with enough details in day light. The low-light performance is also pretty good for its price, but don’t have any high hopes. The 8-megapixel ultra-wide-angle lens is decent when capturing landscape photos out in the open. But if you’re planning to click photos of buildings, heritage monuments or so, you’d be disappointed. The photos have fisheye effect, and barrel distortion is easily noticeable. Also, unlike the Galaxy S10, where the software can straighten most of the photos, the same option isn’t visible in the camera app. Low-light photos shot with the ultra-wide-angle lens suffer a lot, especially because there’s no auto-focus. The third sensor does a pretty good job at detecting the depth, and photos with background blur look good. There are a few effects that you can add too, and they add creativity to your photos. The portrait dolly effect is my favorite feature, which adds vertigo like effects to your photos. Lastly, the 25-megapixel front camera is also pretty good in capturing selfies with close to accurate skin tones, and enough details. AI portrait mode is also available, and photos captured in this mode look good too. For biometric authentication, Samsung has added an in-display fingerprint scanner, which is a good step. However, it is not the same as the ultrasonic fingerprint scanner on the Galaxy S10. On the Galaxy A50, you get an optical fingerprint scanner, which is slow when it comes to authentication and unlocking the phone. 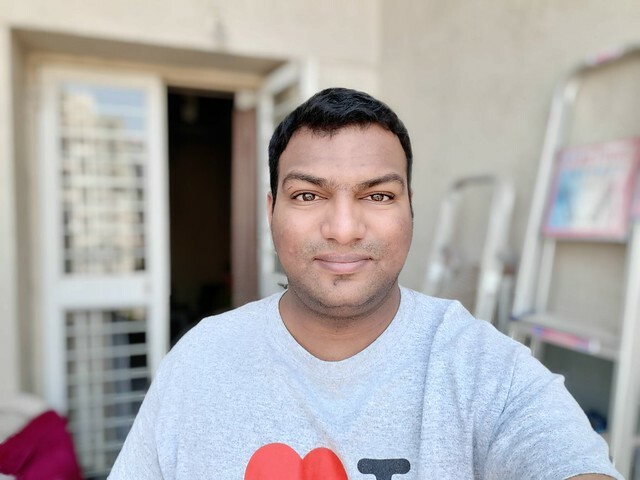 I’ve reviewed the Vivo NEX as well, which is a flagship smartphone, and comes with an optical sensor, and it also took time to unlock. 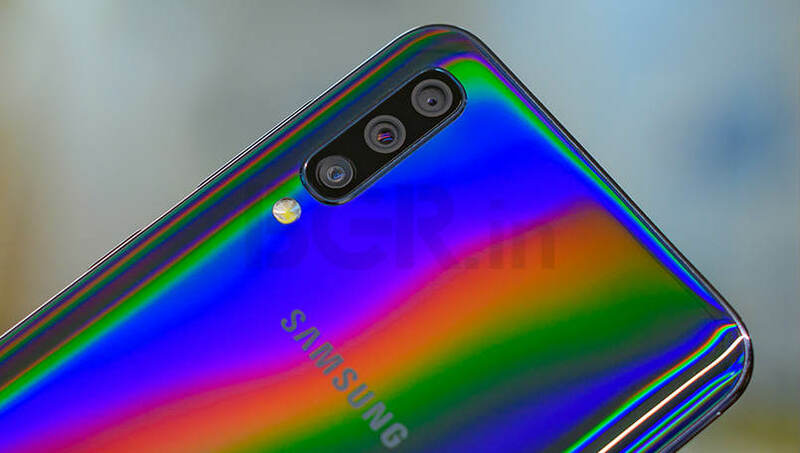 The same is the case with the Galaxy S10 as well, but while it takes one second, the Galaxy A50 takes up to two seconds to authenticate and unlock. You need to also ensure that you rest the finger on the given area or else, the authentication will fail. The smartphone also supports face unlock, and it works without any issues. 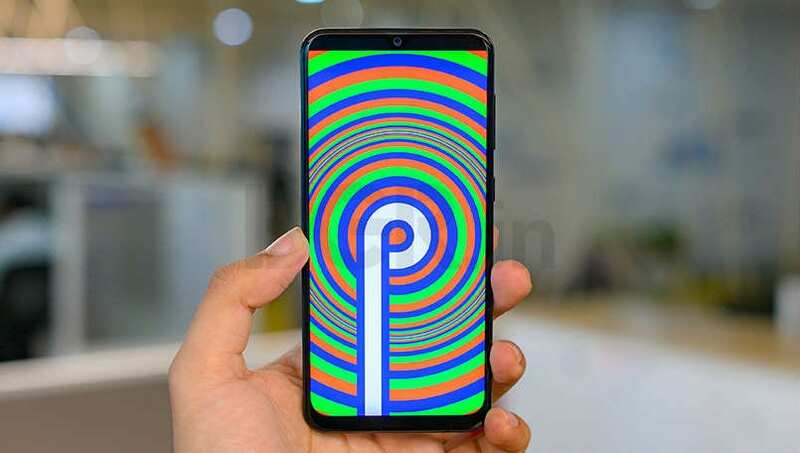 The Galaxy A50 runs Android 9 Pie with One UI skin on top. 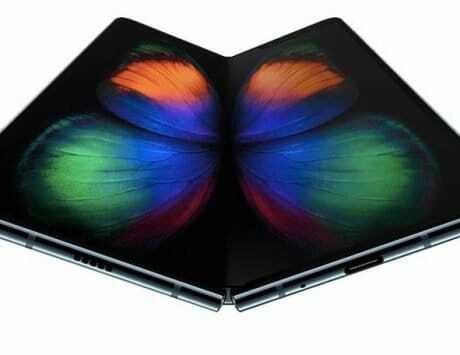 It is the same skin that we have seen on the Galaxy S-series and Galaxy Note-series devices. All goodies such as Digital Wellbeing, Dark Mode, gesture navigation are present here. Samsung’s Bixby voice assistant is also present, and it’s more or less useless, but thankfully you don’t get a dedicated button, which is good. Under the hood is a 10nm Exynos 9610 octa-core SoC paired with 4GB/6GB RAM with 64GB storage. I had the 4GB variant for review, and the UI felt smooth, but it isn’t butter smooth as you would expect. Opening apps is quick, and switching between background apps is no issue either. However, at times, I did notice the transitions take about a second or so to load. The performance was also smoother, and I could play games such as PUBG at high-resolution without any hiccups. 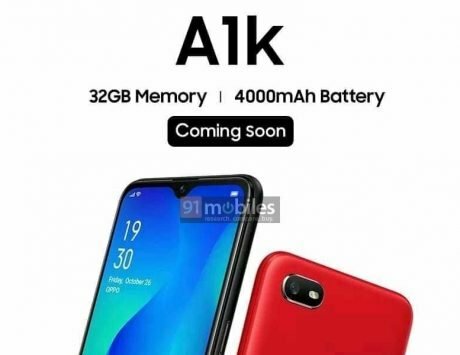 To make sure everything ticks is a 4,000mAh battery with support for 15W fast charging. The smartphone takes close to two hours to charge to full. But once the battery is topped up, it will last you the entire day, and even more. A couple of days with moderate usage, I was left with over 45 percent battery at the time of going to bed. The next couple of days I played PUBG for close to 75 minutes, among other usage, and I was still left with close to 15 percent battery at the end of the day. Verdict: Should you buy the Galaxy A50? The Galaxy A50 is offered in two storage options – 4GB RAM with 64GB storage variant for Rs 19,990, and 6GB RAM with 64GB storage model priced at Rs 22,990. The smartphone can be purchased from both online and offline channels. For this price, you get a good AMOLED display and battery that lasts longer between charges. The design is new and refreshing, and the performance is exactly what you would expect from a mid-range smartphone. The primary rear camera and depth sensor works well, but the ultra-wide-angle lens is a hit or miss. 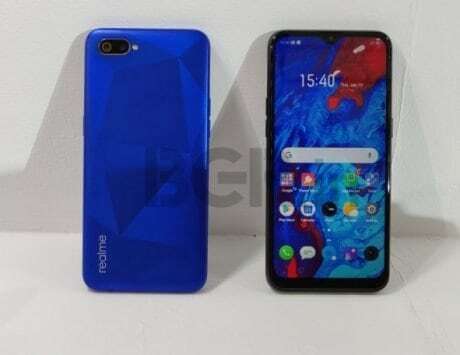 Low-life performance could have been better, and the in-display fingerprint scanner should have been a little faster too. But when it comes with the price point, these minor drawbacks could be easily neglected. 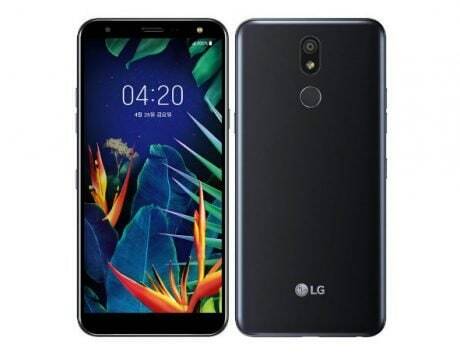 If the smartphone had a starting price of above Rs 25,000 then there was a reason to worry, but when you get flagship class features within the budget, there’s less to complain. 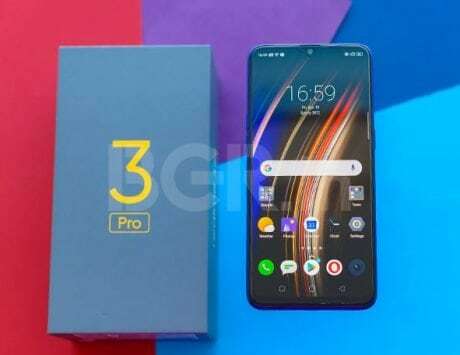 The only threat to the Galaxy A50 is the Poco F1, which comes with the flagship Snapdragon 845 SoC, up to 8GB RAM and 256GB storage, and liquid heat cooling system. The smartphone is currently available for Rs 19,990 for the base model with 6GB RAM and 64GB storage. If you want a powerful smartphone with flagship hardware, the Poco F1 could be worth considering.